Writing assumed great significance in Islamic culture. 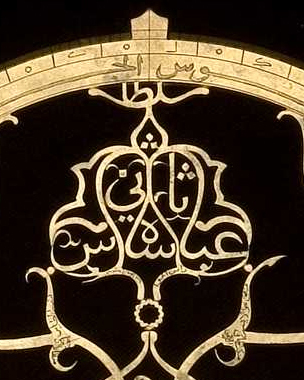 The centrality of the Qur'an and the prohibition on idolatrous representations of Allah helped to make calligraphy both a religious and an aesthetic discipline. Treatises on penmanship ennoble the art of writing through the mathematical proportions of fine calligraphy: 'Euclid said: Handwriting is spiritual geometry which appears by means of a bodily instrument'. It is therefore especially appropriate that calligraphy plays a vital decorative role in the most prestigious of mathematical instruments.